LeBron James finally had a trade that he orchestrated go his way on Thursday. Unfortunately, that trade came in the context of a meaningless exhibition game. But the most surprising moment of this event came after the teams had been selected, when LeBron decided to put his GM hat on and propose a trade to the opposing captain. 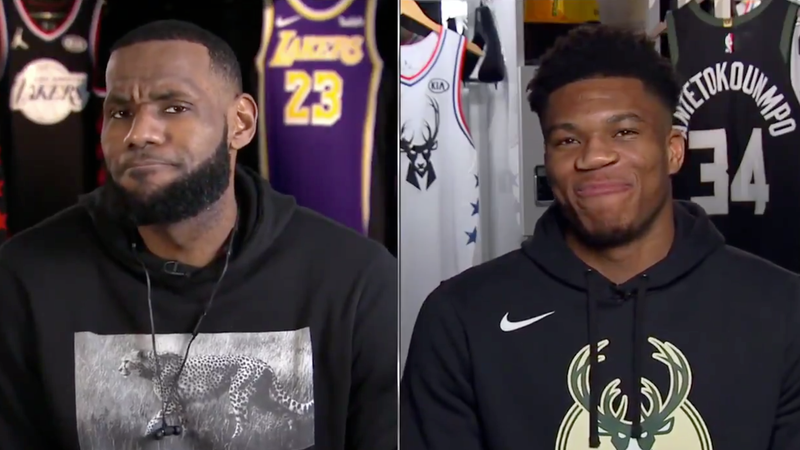 For context, Giannis had previously mentioned how he wanted to bring the two feuding sides of Embiid and Westbrook together through the magic of the All-Star Game, because he’s “all about love” and “a lover not a fighter.” LeBron apparently figured he could bring Simmons, who James had wanted but missed out on, to his team while bringing some minor chaos to the event. Unsurprisingly, Embiid reacted on Twitter. The cherry on top of the whole event was Charles Barkley interjecting after Giannis agreed to the trade that the Greek Freak should consider trading his whole bench for Anthony Davis—which was the second good joke of the show.